What do you take with you for your hosts when you are invited to dinner? The answer is different in the different countries of the world. In some you even go home with gifts. In Holland you may take flowers or wine, in Kurdistan a box of chocolates or nuts is fine. Giving presents is done for different reasons, and different rules apply. I have always been surprised by my staff in Kurdistan, who brought back presents when away on holiday. I had already seen it with Kurdish friends in Holland: suitcases full of stuff came back that would be presented to family and friends. When I travel with friends, I see them do shopping for friends and family at the airport. Coming back with presents is just not done. Why? did I wonder. It is my holiday, why should I bother myself shopping around for friends and family? I finally understood it. It is meant for you to share a bit of your good luck and happiness with the ones around you. Next time I was in abroad I also went to buy little presents for my staff. And I was happy to see them happy. Over the years, during working trips in the Middle East, I have often been offered presents. For journalists these are difficult issues, as you are supposed to remain independent, and how can you if you take people's presents? But in one instance I really found it hard to refuse. I had encountered a nice family, who was part of a problem that I was writing about. We spent some nice time together. They sent me home with a very nice perfume I could not refuse. I did feel a bit uneasy about it though. I make enough money to buy it myself. Why did they want to give it to me? When next time I saw them, they offered to have me some clothes made, but I did manage to refuse and stayed away from them not to feel guilty. There are also presents that are given for religious reasons. I know people in Iraq who give money to beggars or children selling stuff at the traffic lights because they think they earn a place in heaven that way. And of course by giving the zakat, a percentage of your salary as one of the pillars of Islam, one also applies for a place there. But these gifts have much more to do with the giver than with the receiver. However much the latter may need it. 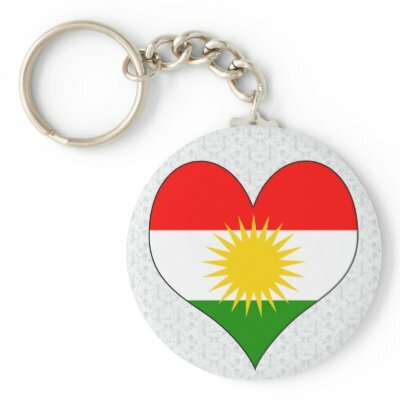 The choice of gifts in Iraqi Kurdistan is not too big though. That's why chocolates and nuts are popular. Or for women jewelry, which I consider as one of the most personal things to give. But that is not seen as such in Iraq, where cheap jewelry is for sale in many places. Now shops are opening with little trinkets, mostly Chinese made and not quite up to most Western tastes. But when looking for souvenirs to take home for your friends, I only found one shop that really offers nice ones, worth taking to Europe. Most souvenirs are very nationalistic and do not show much good taste. One of the reasons why hardly any souvenirs are to be found is that in Iraq hardly anything is produced any more, and people want foreign products - even the cheap Chinese ones. Related to gifts are the rules about paying when out for a diner. In my homeland Holland we usually share costs after a meal out, unless the meal is for a special occasion. But in Iraq and most of the Middle East you always have to fight to be able to pay a bill. Usually the rule is that when you are visiting - outside town or outside the country - you are the guest. Meaning that when the return visit comes, you will be able to pay. Sure, you might be able to, but never without a fight, for politeness sake. This might be because I am a woman, but I do not think so. As female friends do the same to me, and I may be able to pay for a man every now and again. So it is just part of the culture of hospitality. Yet it results in a fight over the bill that does not really make me happy. And then, the rules when receiving a gift. In my home country, you unwrap and admire. In the Middle East, you accept without unwrapping, saying many thanks. Next time you meet someone, you should tell him you really liked the present. Gifts may also be given to authorities to get something in return. Even though in many countries it is considered as corruption, in Iraq it has become almost a rule. Gifts can be handed in cash, or in free services (fill up the car, get a night in a hotel, do not pay for your shopping, etcetera). Though of course the giving should be done too openly, without the gifts, there is no service or limited service. Which means people pay, and civil servants have gotten used to getting the extras on top of their salary. Foreign companies with no-corruption rules find themselves caught up in this. They are not allowed to pay to smooth things out, yet they have to if they want to be able to work and compete in a country where competitors do not have their problem. Bakshish, as paying 'gifts' is called, is a system that is hard to beat as everybody in it is used to it and is profiting. Even the one paying, because he gets the service he wants, and often civil servants bend rules for him so he can get his work done. In my own country we had scandals because of builders buying orders with trips and other gifts. In the Middle East this is just about the norm, however many of these countries are now said to be working to fight this. There are stories about the members of some anti-corruption committees who use the job to receive extra money. And there are stories about members who do try very hard to fight corruption, and then get accused of some crime because their actions are too painful for the pockets of some influential people. Presents are of all types and of all times. To show your love, your respect or the make things go more smoothly. And we Westerners may not like the last category, yet for the moment the fight against it is not going anywhere. Bakshish is a very old word, and very much part of the culture. One cannot erase a habit of centuries in just a few years.